A recent survey* has found that half of over 50s shunned the traditional ‘cliff edge’ retirement, preferring to ease themselves in with a ‘phased’ approach. This could mean drawing down some pension income to allow part-time working without compromising on total income. The appeal of a transitional approach allows workers to adjust the amount of time they work before giving up work entirely. For example, if you can afford to retire age 65, then phased retirement might mean you can reduce your working hours from age 62 and stop work altogether at age 68. There are many pros of a phased retirement but also some cons to consider. Our experts have detailed these below to help workers think about how they might like to take their retirement. INCOME ADJUSTMENT - most people will have a lower income in retirement than they do through their working life. Phased retirement can provide a middle ground that helps them to adjust gradually to living on a tighter budget and transition from building their savings and pension assets to living off what they have. This requires a sharp change of mindset for those who retire ‘cliff edge’. EARLY RETIREMENT - if you could ordinarily afford to retire age 65 then phased retirement might mean you can reduce your working hours from an earlier age and stop work altogether later on. Plus, some people actually like their jobs! ACTIVE MIND – besides the financial changes, retirement involves a significant lifestyle shift. Some people can quite happily fill seven days a week with leisure activities. However, many like to have some structure to their week, enjoy interacting with their colleagues. Working a lighter schedule can extend the number of years an individual can continue to work for. FINANCIAL BENEFITS - if in good health workers are more likely to stay in employment longer which brings financial benefits as well as more time for leisure activities. This means workers get the best of both worlds, benefitting mentally and socially from work, as well as continuing to receive an income and enjoying more leisure time. GROW INCOME - continue to grow your retirement income, while enjoying the extra flexibility of a shorter week. Employer and personal pension contributions can continue AND you delay or reduce the need to access your existing pension savings. PRESERVE CHILDREN’S INHERITANCE - by working part-time and delaying pension withdrawals or reducing what you’d need to withdraw if you retired completely, you preserve more of your pension pot. This maximises the death benefits of a pension, providing an opportunity to pass more of your money to children/beneficiaries free of inheritance tax. 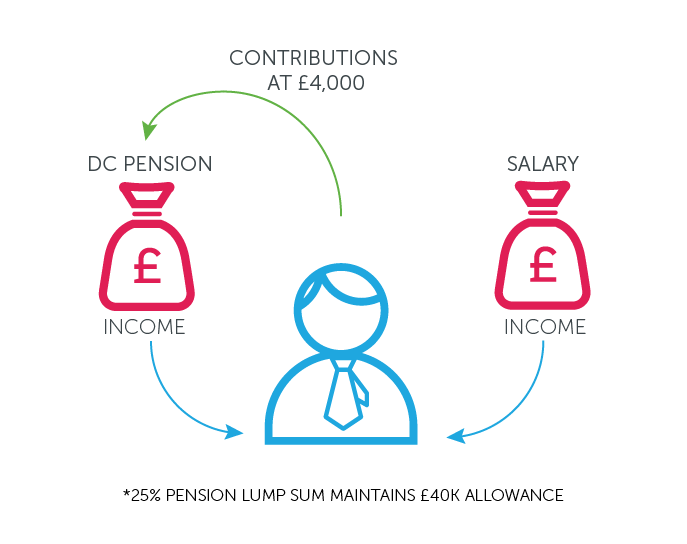 TAX MAN – receiving pension income and income from employment could result in paying income tax at a higher rate. MORE WORK LESS PLAY - continuing to work reduces the amount of time spent enjoying holidays and leisure activities whilst still in good enough health to do so. MONEY PURCHASE ALLOWANCE – the money purchase annual allowance reduces an individual’s yearly pension contribution allowance from £40,000 (or 100% of salary) to just £4,000 in the tax year. It applies when you begin taking money out of your pension as a flexible income. You can do this when you reach 55. If the pension benefits are accessed flexibly, which is common in phased retirement, this reduces the amount that can be put into the pension. This will limit the scope you have to save for retirement and can even result in a tax charge if contributions exceed the limit – contributions from your employer count towards the limit. 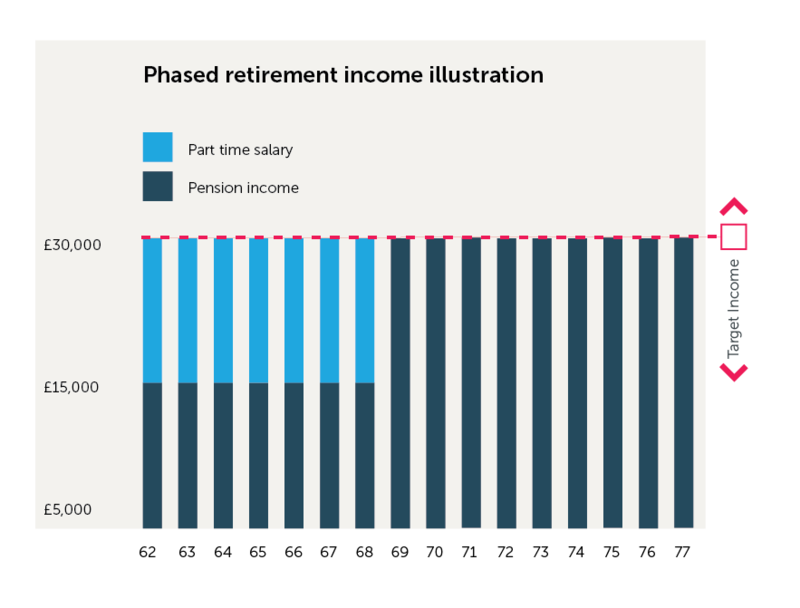 The Pension Freedoms have provided workers with more options in terms of how they access pension benefits. As a result, there are significant tax planning opportunities for those considering phased retirement which can help to mitigate the potential negative tax implications. Lemonade’s Retirement Options Planner allows workers to input their pension information, so they can easily compare their three options (drawdown, annuity & cash out). This clever tool also helps them to understand when they can afford to retire which can help with their decision on how best to take their retirement. * Source: Research conducted by Aegon in conjunction with Opinium, based on responses from 1007 UK workers aged 50+ earning £20k+ between 30 November and 6 December 2018. Older PostFinancial Wellbeing - Intrusive or valuable?